Hibiscus tea has long been known to have many health benefits. This beautiful flowering tree grows in warm and tropical climates. It is used in many cultures for its antibiotic, antifungal and diuretic effect. Modern science is now validating the folklore and purported health benefits as having merit. In the journal of Ethnopharmacology published in 1999, a study of individuals drinking hibiscus tisane significantly reduced blood pressure for those with moderate hypertension. In the medical journal, Phytomedicine, the results of a 2004 clinical trial was published. This clinical trial studied the effects of a Hibiscus tea, from the Hibicus sabdariffa plant, to the potent blood pressure medication captopril on patients with mild hypertension. The participants in this clinical study were given either the hibiscus tisane or captopril daily for a 4 week period. The results were surprising. Drinking hibiscus was as effective as the medication, captopril, in reducing pressure in the participants. A study published in the 2008 Journal of Human Hypertension compared individuals with diabetes and high blood pressure. In this study, researchers were comparing the differences of black tea and hibiscus tea on blood pressure. Each group was asked to drink hibiscus tea or black tea twice a day for one month. Once again, those participants drinking hibiscus tea had a significant change in lowering their blood pressure. Those participants that drank the black tea, had a minor increase in blood pressure, which was thought to be due to the effect of caffeine on the body. Hibiscus tisane is considered to be very safe. Its mode of action may be as a potent diuretic or "water pill." It has few interactions with medications; however, enthusiastic hibiscus tea consumption could cause hypotension if already taking one or more high blood pressure medications. According to the February 2009 Internal Medical News Journal, hibiscus tea is making the headlines again. Diane McKay PhD, of the Jean Mayer USDA Human Nutrition Research Center on Aging at Tuft's University in Boston, presented to the American Heart Association some significant findings of the effect drinking hibiscus has on individuals with hypertension. A clinical research study, found the benefits of drinking three cups of tea, hibiscus tea, over a six week period, lowers blood pressure as much as 7 points of systolic pressure. That is the top number of the blood pressure reading. The bottom number, or the measurement of diastolic pressure, was lowered on the average, 4.5 points. This is the same effect that a doctor would expect to find with a prescribed medication. This reduction is significant, as the National High Blood Pressure Education Program notes that just a 3 point drop in pressure can dramatically decrease the chance for a stroke or a heart attack. Even more amazing was the effect drinking this herbal tea had on individuals with moderately high pressure. Those individual appeared to benefit even more than the individuals that started with mild hypertension. The medical community is quick to state although this is a very significant finding; it still needs much more research to understand the full long term impact drinking this tea will have on those individuals with hypertension. There is also an extra added benefit that researchers are studying along with the blood pressure lowering effects of hibiscus tea. The flavinoids and phenolic acids are found to be very powerful antioxidants and are thought to lower cholesterol and prevent fat deposits on the arteries. Further studies are being done to validate the cholesterol lowering abilities of hibiscus tea. If you are an individual that wants to improve your health or lower your pressure, you may consider drinking three cups of tea, hibiscus tea, as part of your daily routine. Stay tuned for more updates on the health benefits of this tea. Connie Bednar has been a tea enthusiast all her life. She enjoys sharing information about loose leaf tea and herbal teas so her web site http://www.your-cup-of-tea.com was born. 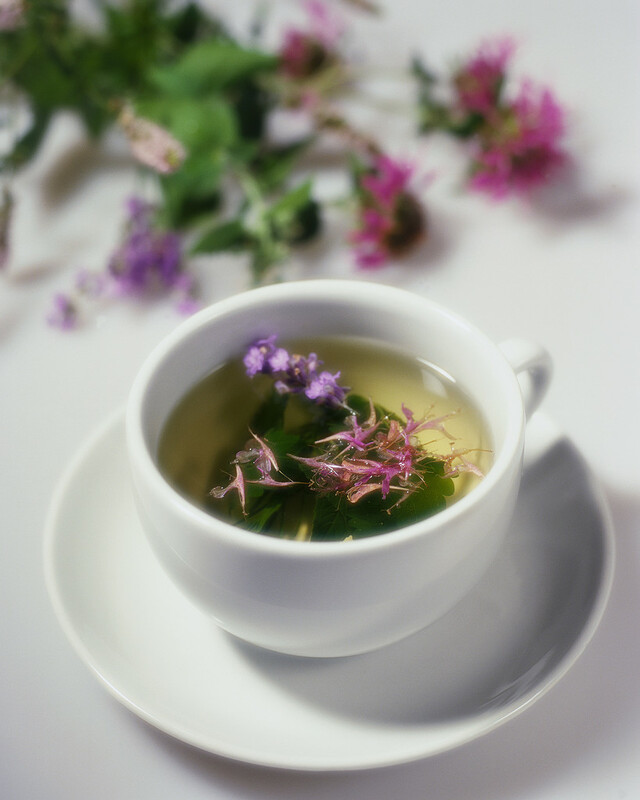 Learn more about this herbal teas here on her web site Take the time to sign up for "Tea Note Speaker" her newsletter while you are there and take advantage of her complimentary tea e-course.